The key to measuring the success of your club is by understanding your data. Yet, most venues don’t look at their data to get an accurate gage of how well their club is performing. The problem is few venues have a system in place to analyze this data, and even fewer have the necessary time and resources to comb through the information to make sense of it all. 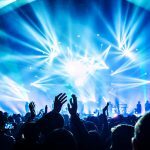 As a result, venues are operating blindly and wasting time and money on areas that may not be working. If you don’t have an answer to these points, it’s time to put a system in place. 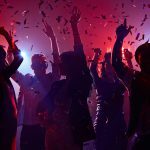 The good news is, there are systems out there, like Vēmos, that are designed specifically for nightclubs and automate data and analytics for you to help you run a more profitable nightclub. Don’t cut yourself short by only turning to your point of sale (POS) system to provide this data. While it’s true that most POS systems collect data, it’s oftentimes presented in convoluted ways. 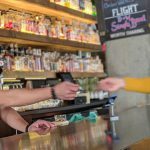 It’s nearly impossible to get a glimpse of your club’s employee performance, promoter performance, individual guest sales, or trending liquor sales. With this type of system, you’re able to easily review the data that’s presented, benchmark it against your goals, and optimize your results to work in your favor. If something isn’t working – such as a certain type of liquor isn’t selling well or a promoter isn’t providing results – then fix the problem. Data is the true power of a sustaining business. After all, the more you now, the more you can do.